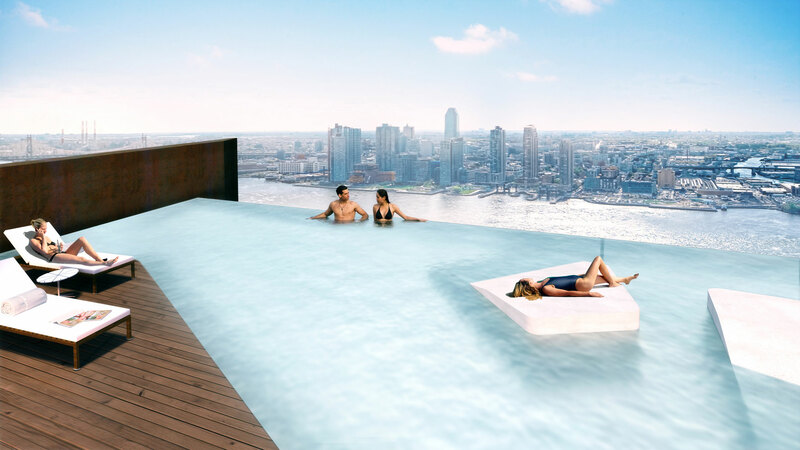 Three-and-a half years after Superstorm Sandy, New York developers are taking to the sea at a faster pace than ever. 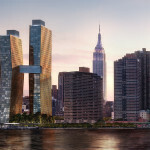 The most dramatic changes are in store for the East River shoreline, where more that two dozen developments are in construction or planned on both the Brooklyn and Manhattan sides. 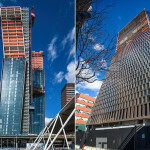 Ranging from the two million-square-foot Cornell Tech campus to the second largest condominium tower in the city going up at One Manhattan Square, the developments will usher in thousands of new residents and a sprinkling of workers to the flood-prone areas. 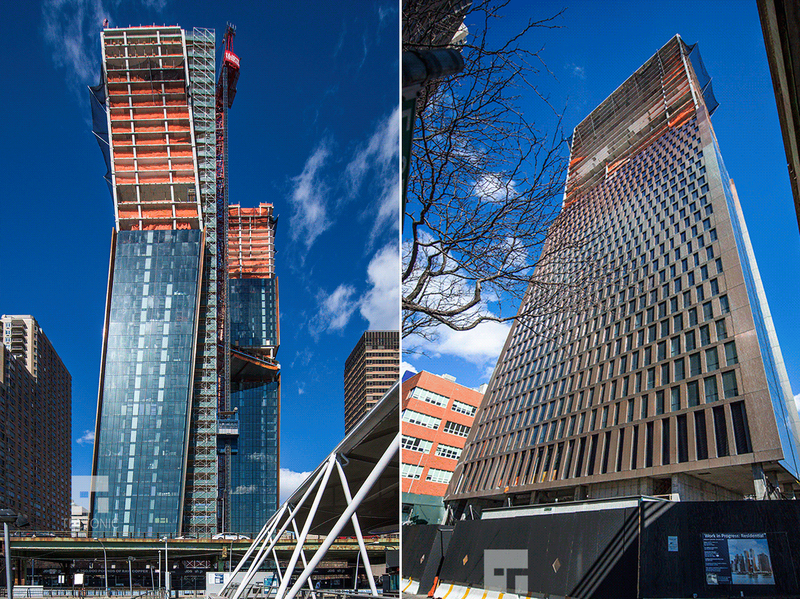 As of late, the tidal strait’s most striking addition has been a pair of asymmetrical, copper-clad towers at 626 First Avenue in Murray Hill. Last week, the team led by Michael Stern’s JDS Development topped off construction on the 470-foot-tall southeastern tower. 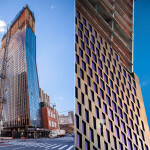 The taller 49-story, 540-foot northwestern tower finished its vertical rise some time earlier this month. 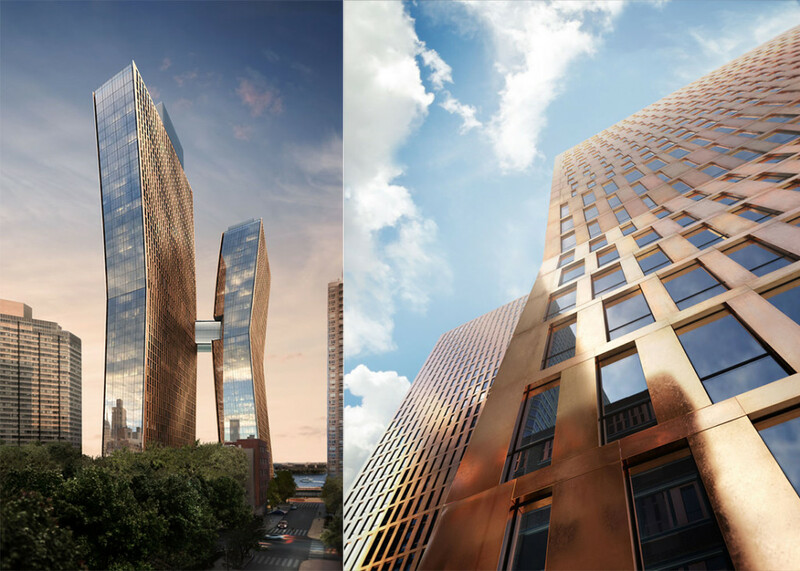 As 6sqft reported last year, the towers rise from a 45,000-square-foot, L-shaped site between First Avenue and the FDR that were outside of Manhattan island’s natural shoreline. 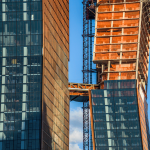 The project is directly behind the East River Ferry‘s Midtown East/34th Street terminal, the routes of which will be greatly expanded next year under the citywide ferry plan. 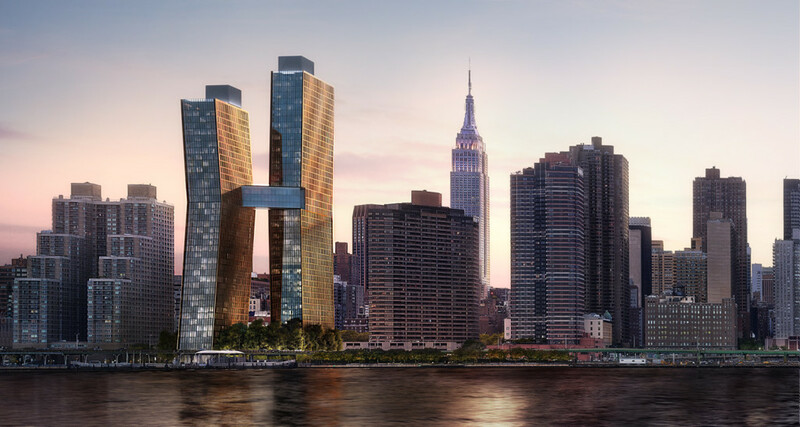 The towers will be the single largest residential project on the Manhattan side of the East River in decades, housing more than 800 units within nearly one million square feet of space. 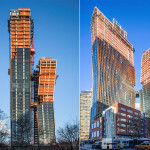 Rather than retreating from the waterfront post-Sandy, the complex will be engineered with several flood mitigating systems to handle the inundation of seawater that could come in another possible storm. In addition to a six-foot-high flood barrier, the buildings’ lower levels will be designed to take in floodwaters without causing long-term damage to the buildings’ systems. 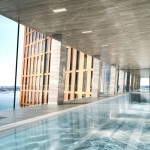 The lobby is perched 30 feet above sea level, and crucial mechanical equipment 50 feet up. There will also be back-up generators in case of a power outage. 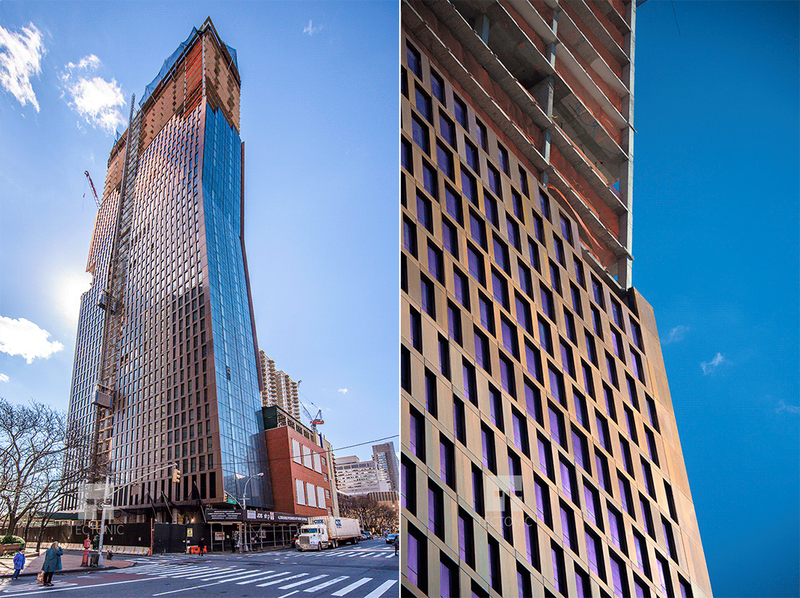 Designed by SHoP Architects, the exterior is sheathed in more than 2,100 tons of copper panels. 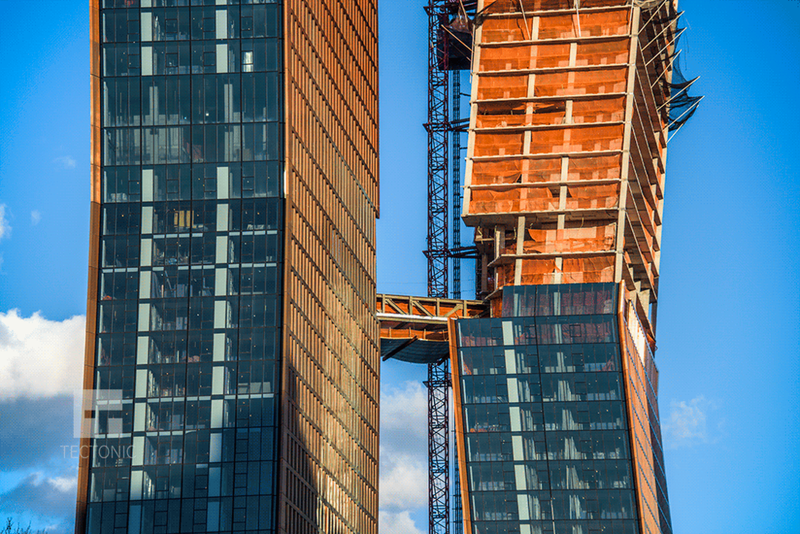 The towers glisten even on overcast days and spark like torch embers during sunset and sunrise. 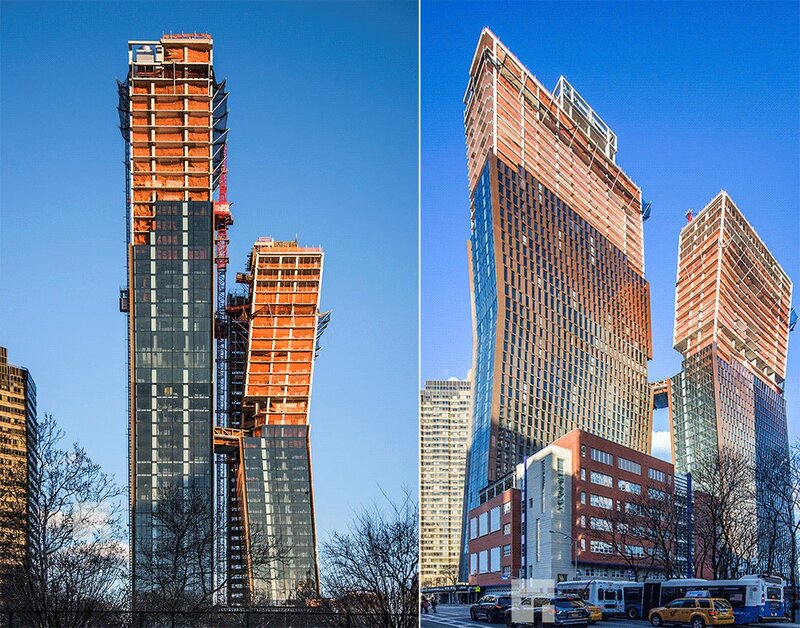 The project’s block-wide site enabled the team to stagger the tower placements so every building elevation can capture postcard views far and wide. 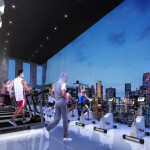 Signature views won’t solely be limited to building residents; the pair’s unique dancing silhouette creates an iconic composition in the Midtown East skyline, which for the past few decades has been mired by drab post-war schlock. 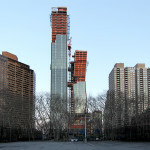 View of the amenity-filled skybridge under construction. The bridge will be the highest in the city. 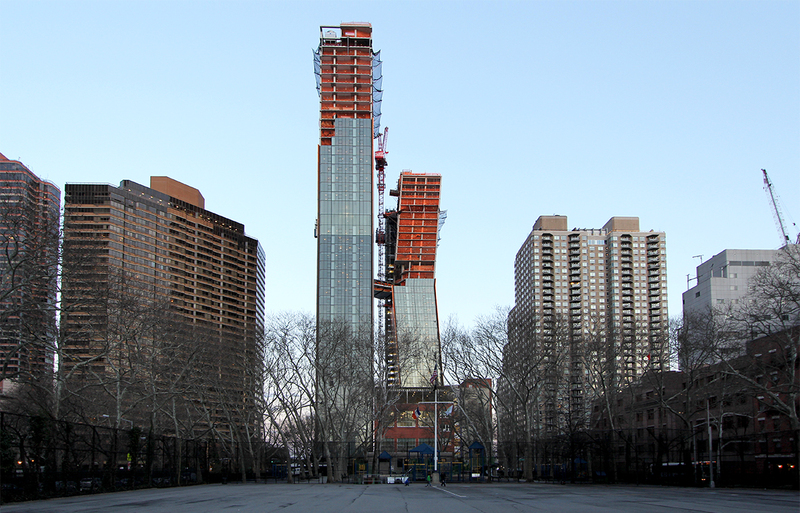 The taller northwestern tower bends on the north-south axis, while the southeastern tower bends on the east-west axis, though the enormous scale of the buildings makes this unclear when viewed diagonally. 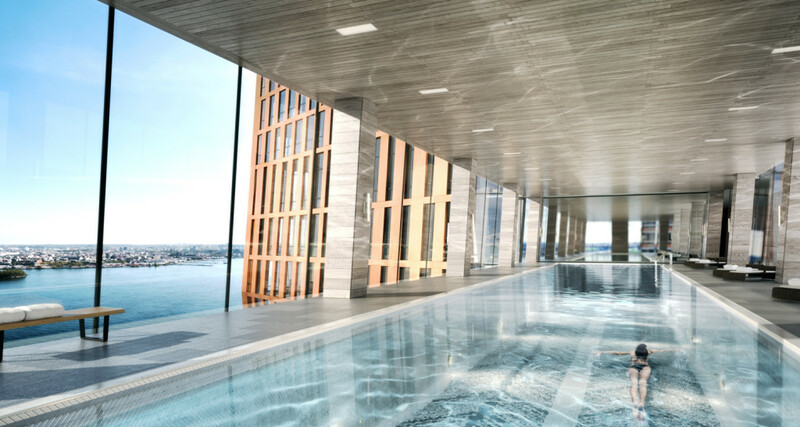 On the 40th floor, the towers will be united by diagonal sky bridge on the 27th and 28th floors that will host one of the most spectacular lap pools in the city. 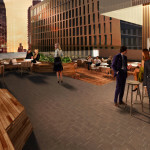 Other amenities include a rooftop deck with an infinity pool, fitness center, and a film screening room. The project is registered in the city’s Inclusionary Housing Program, so 20 percent of units will be earmarked for low-income households. 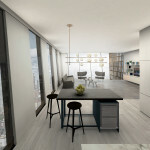 SHoP will design all apartment interiors, as well as the finishes and furnishings for all of the amenities, lobbies, corridors, and other public spaces. 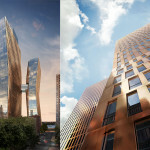 The development is slated for completion early next year. Find future listings for 626 First Avenue on CityRealty.